You have said that the key to a successful job search is to contact the person you would work for within an organization, and to show how you can help out. How can I find the manager who has the problems I’ll be able to solve? 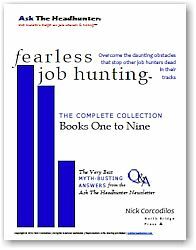 In the newsletter I suggest that your challenge as a job hunter is not to apply for lots of open jobs. It’s to carefully target the manager whom you can help the most. 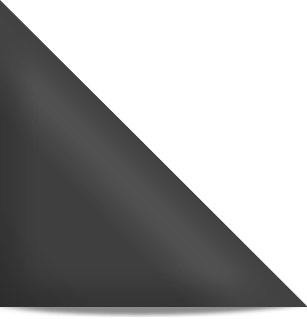 To find a manager who really needs you, it’s best to triangulate. That is, talk to people who know and work for managers who may be relevant to your job search. This includes less obvious contacts, like a company’s customers and vendors. But the point is to talk shop. Don’t ask for job leads — that’s like asking for an introduction to the personnel office! How can you do some of the key research, and how do you get ready to meet the people who can lead you to the manager? Two sections of How Can I Change Careers? deal specifically with these issues. 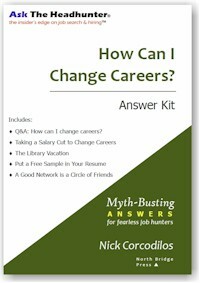 (This PDF book is not just for career changers; it’s for anyone who wants to get an edge on changing jobs.) A section about how to “Put a Free Sample in Your Resume” helps you show the manager how you’ll bring profit to the bottom line. How do you get to the hiring manager? What methods have you used that helped you get past the teeming hordes of job hunters — so you could talk directly to the manager (or to someone very close to the manager)? 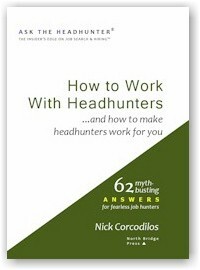 Readers' Forum: I need a headhunter who will market me! OMG! They found out about my air baths!! 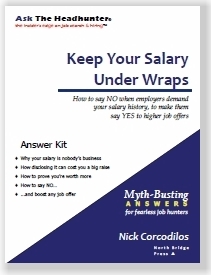 If you’re interested in this subject, I highly recommend Nick’s ebook, How Can I Change Careers. A lot of blood, sweat, and tears went into making that thing, it shows, and it’s worth well north of what he charges for it. Never mind the final paragraph of that particular fake press release, it’s boilerplate that particular company includes with all its press releases. When the hiring manager calls, though, you better be able to talk the kind of shop he/she wants to talk, so make sure you do the heavy lifting before you start throwing the pachinko balls around! Certainly a trade organization is an excellent way to find the players in the target field. Or a business service provider to that industry (or to its adversaries). Or journalists who cover the industry. All such ‘gatekeepers’ should have a wise view of reputations and trends. For instance, let’s say you are interested in risk management. Talk to a few big ambulance chasers and you have a key to their defendants — corporations and insurance companies. Often folks are intrigued and will open up when you’re doing this kind of creative spy work, because they like to give their view of the work environment. The great John Crystal, the inspiration for the classic ‘What Color is Your Parachute?’ wrote incisively on this topic. @Johh H Steinberg: Thanks for helping clarify the connection between jobs and the key people who surround an employer. Job hunting requires a lot more than looking for job postings! I am in the process of selecting a resume writing service. I was contacted by Execunet.com and told their basic resume service starts at approx $900 (can add bolt ons, etc… for additional $$’s). Two questions, (1) do you think it’s worth it and (2) can you recommend someone? AFP-Go to the June Archives and click on June 7: I went for a run last weekend . . . and bought a canned resume. The truth is in there. I would like to recommend a tool that will help you to find the Hiring Managers in any company. Just type in the “Job Title” & “Company” and LeadResearcher tool will automatically search the Internet and find the Hiring Managers in a Company.